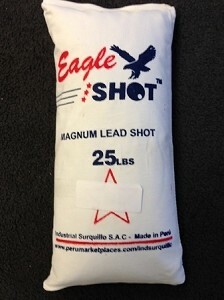 2 Bags of Eagle Magnum Shot, Select What sizes you want. 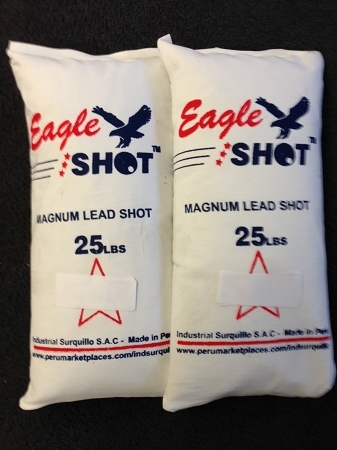 Eagle Magnum lead shot contains 4.5-5% antimony for extra hardness to prevent deformation. 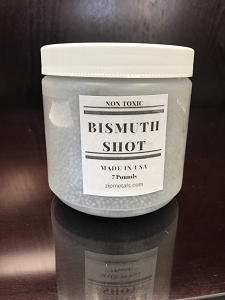 Uniform size ensures tighter patterns downrange. 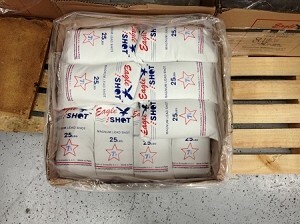 Sold in 25 lb. bags.